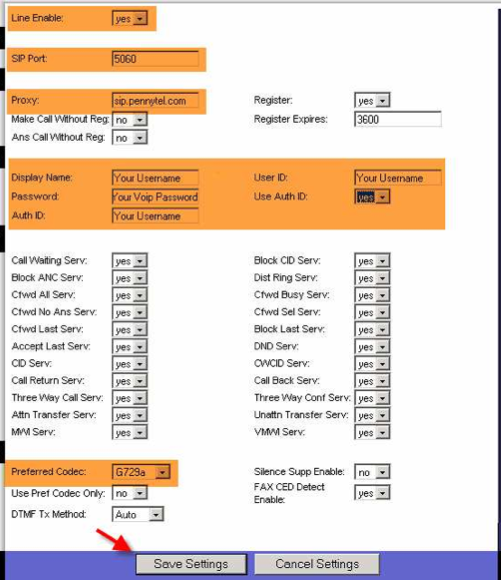 The Linksys PAP2T and SPA2102 ATA work well with PennyTel and other VOIP SIP providers. 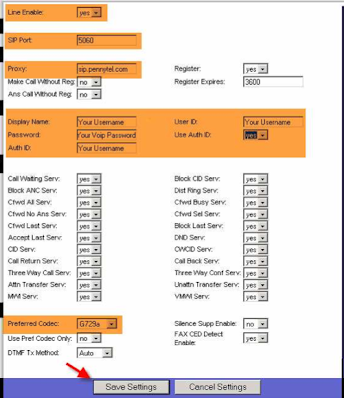 To get into the Menu dial "****"
To get the IP address (assuming you have DHCP) press "110"
Then in your web browser load the IP you get. By default you get User Login, so click on the Admin Login link upper right. Then click "Line 1" and configure per below.